We’ve seen a lot of companies begin to diversity in recent years, often moving beyond manufacturing one type of accessory such as cases into other areas such as home automation and charging. Case-Mate joins this trend with its new Power Pad Qi-enabled Wireless Charger, and perhaps recognizing that this is a category that people are getting a bit blasé about, Case-Mate has clearly decided it’s not content with providing just another flat black charging pad, so it’s changed it up a bit by including a stand and offering both black and white versions to better complement your decor. Unlike Odoyo’s Wireless Charging dock, which incorporates the wireless charging circuity into a battery pack and provides the power connectivity through the base, Case-Mate’s Power Pad encompasses the entire charger in a single piece, with the stand being just that — merely a stand that can be used to prop up the otherwise-flat Qi charging pad. 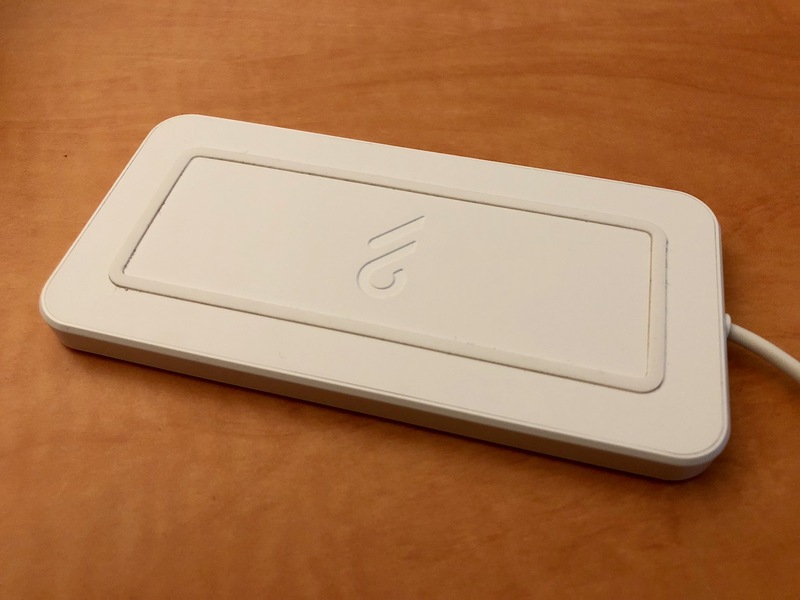 It’s a simple enough implementation, and allows the Power Pad to be used in a variety of different configurations — it can be used on any flat surface as a normal wireless charging pad, or propped up in the dock in either landscape or portrait orientations. 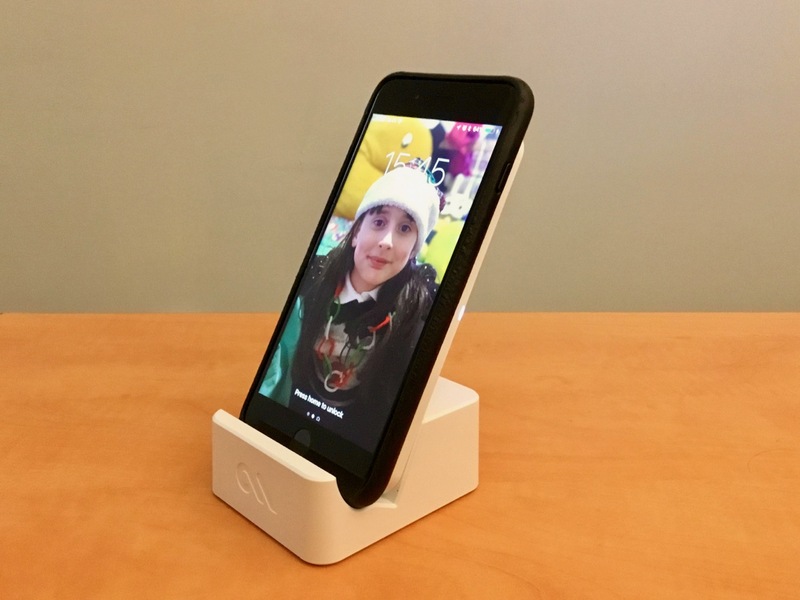 Case-Mate also includes a small soft plastic riser to prop up the charging pad in the stand for larger smartphones, but this doesn’t need to be used for any iPhone models. We should also mention here that Case-Mate’s Power Pad is actually Qi Certified, whereas Odoyo’s product is not. Power Pad is a ten-watt Qi charger, which means it can supply more than enough power to charge any of Apple’s current iPhone models at maximum speeds, which are currently capped at 7.5 watts. The additional power, however, will be beneficial for those who are looking to use it to charge other Qi-enabled smartphones, such as some of Samsung’s models. 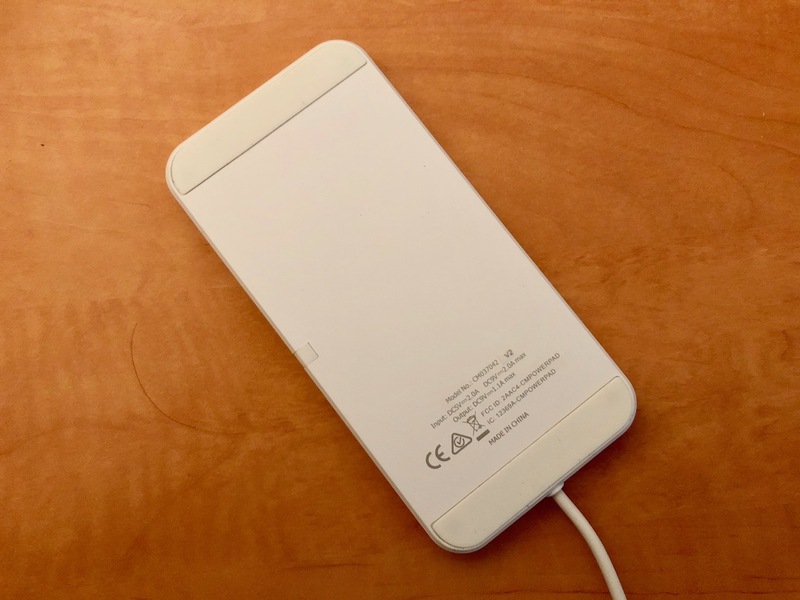 A white LED on the side of Power Pad illuminates when an iPhone is actually connected and charging. The power cable on Power Pad is hardwired, but ends in a standard USB-A connector that plugs into the included power adapter, but this also means that it can be easily used with any USB power source. Power Pad is about the same shape and size as an iPhone X, so both that model and the iPhone 8 fit nicely on top of it, and if you’re using an iPhone 8 Plus it will cover the pad entirely. A rubber ridge on the front does a great job of ensuring the iPhone is held in place, even an uncased iPhone with the otherwise slippery glass back. Rubber feet on the bottom of the pad also prevent it from slipping on smooth surfaces, so everything stays in place quite well. Case compatibility is about the same as every other Qi-enabled charger we’ve tried, which is to say that you won’t have any issues unless you’re using an extremely thick or metallic case. The included stand does a great job of letting you prop up your iPhone while continuing to charge it in places where you might like being able to see it, such as on a bedside table or in the kitchen, and the only minor issue is that we wished it was a little bit more weighted and balanced, particularly in the front, as it’s knocked over a bit too easily — it’s not so unstable that it’s going to fall over just by tapping on your iPhone, but you’ll need to be careful using it in a more active environment where you might actually bump it with your elbow or the back of your hand while doing something else. While it’s still a bit utilitarian in its design, Case-Mate has done a good job of providing a more unique Qi-enabled charging solution, offering iPhone users the versatility of charging their iPhone either flat or upright, and an easy way to switch between either mode. 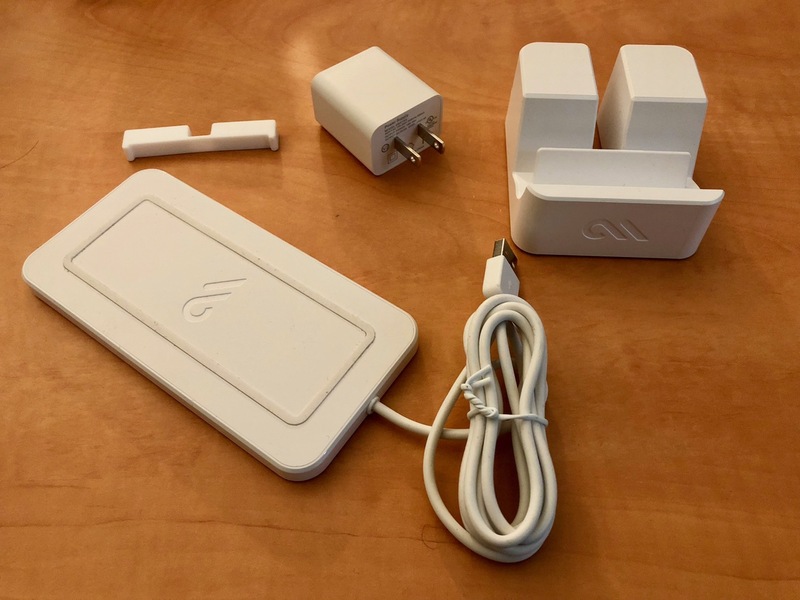 The white version also offers a refreshing change from the plethora of all-black Qi chargers out there, although as one might expect, it picks up dirt and smudges more readily. Of course, some can argue that the upright docking style isn’t all that different from using an actual wired dock, but the one thing that Power Pad has going for it here is significantly better case compatibility — something very few Lighting docks can actually deliver on, and of course since Power Pad comes out of the stand and works as a normal Qi-enabled charging pad, you’re essentially getting the best of both worlds here.